Today, there are several schools (including a number of preschools), as well as one camp (Camp Mokule‘ia) that are affiliated with the Diocese of Hawai‘i. For contact information about the schools, please visit the "Our Schools" page. For information about Camp Mokule‘ia, please visit the "Our Camp" page. For a complete list of churches and clergy by island, please visit the "Our Churches" page. The Right Reverend Robert L. Fitzpatrick became Diocesan Bishop on March 10, 2007, after serving as the Bishop’s Canon since 2000. 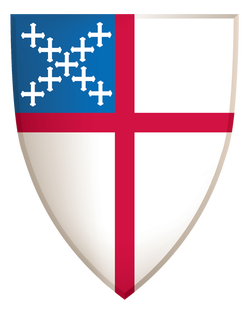 He is the fifth Bishop of the Episcopal Diocese of Hawaii and has oversight of the Episcopal Churches in Micronesia (Guam and Saipan). Bishop Fitzpatrick emphasizes that the congregations of the Diocese must cooperate with one another to accomplish the ministry and mission to which God calls us. The Bishop’s staff consists of six additional full-time employees and and tow part-time employees. Please visit the "Diocesan Support Center" page for contact information.